Mix all the ingredients well. Pour into moulds. 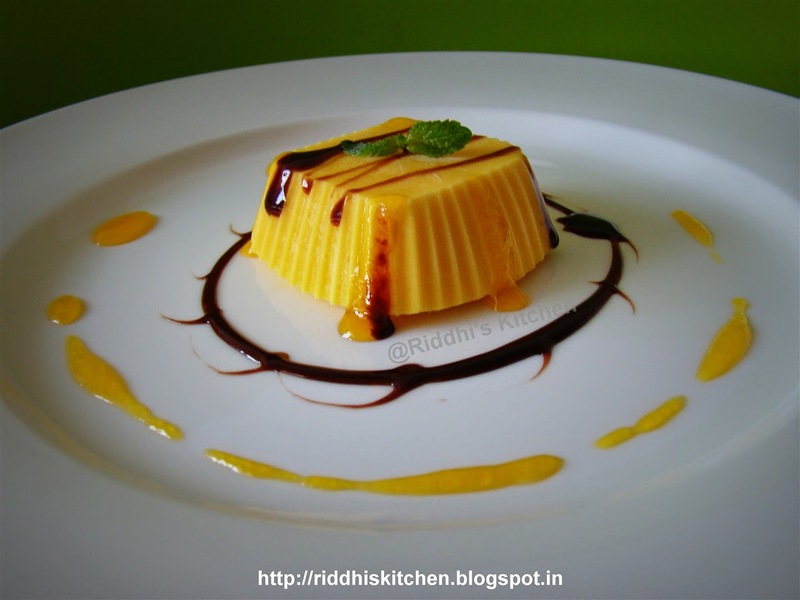 Unmould and Garnish with chocolate sauce, mango crush, mint spring and Serve chilled. Tip : I use silicon moulds. its very easy to unmould.